In 2014 and 2015, the Good Design Awards presented Vuly its first commendations – for the Thunder Summer and Vuly2, respectively. Since then, Vuly has gone on to double its number of Good Design Selections and Good Design Awards by continuing to innovate on safety and incorporate elegant industrial design into its products! 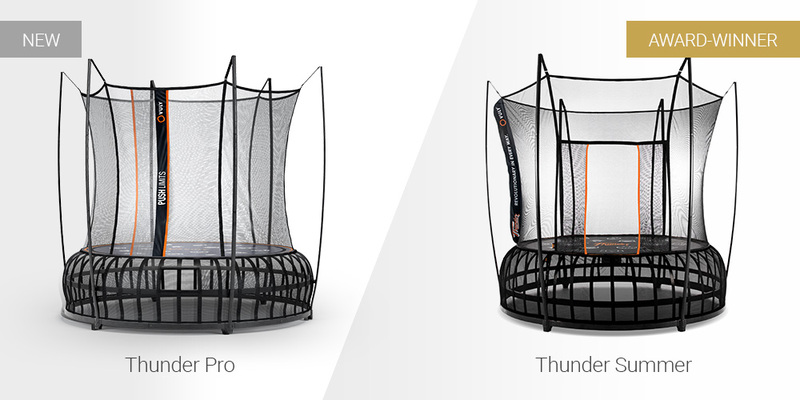 Even though the specific Thunder Summer and Vuly2 models have since been discontinued, Vuly has improved upon and updated their fundamental designs for its current range of Next Generation trampolines – including Thunder Pro, Lift and Lift Pro. 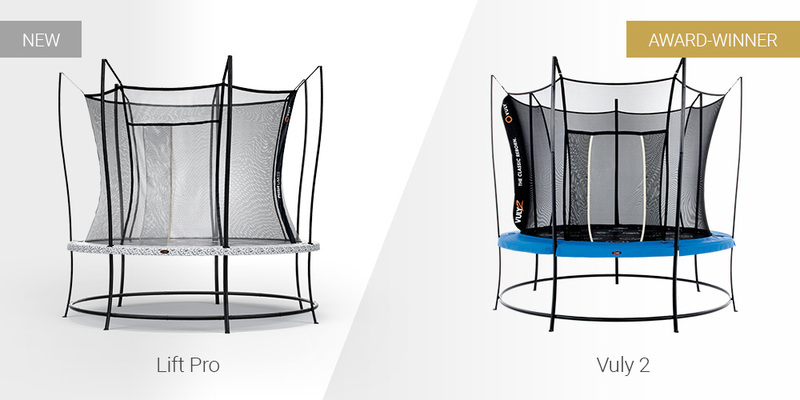 These trampolines maintain the award-winning designs of Summer and Vuly2, but improve key elements to ensure that they last as long as possible. As we say at Vuly, “the best products can always be improved”! Thunder Summer – the first Vuly trampoline to radically shake up the trampoline industry – received a Good Design Award in 2014, and it remains one of the greatest Vuly accomplishments. Thunder Summer introduced the revolutionary Leaf Spring system to the world, along with the signature Vuly hourglass safety net, self-closing door and matte black powder coating. The new Thunder Pro keeps the seminal design of Summer, while making subtle but meaningful improvements to enhance the user experience and boost safety even further. Its pre-bent and single-piece Leaf Springs are easier to install and stronger than those on Thunder Summer, and the self-closing door is now taller, wider and features only a single entry point. Vuly2 followed in 2015, receiving a Good Design Selection for the way that it brought advanced safety features to the traditional, coil spring trampoline market – in style! Vuly2 combined the forward-thinking safety enclosure and powder-coating of Thunder Summer with a truly original, reinforced dual-ring frame. The new Lift Pro represents an evolution of this design, refreshing the backyard favourite with a number of alterations that make it stronger and more fun – all while retaining the quintessential Vuly2 silhouette that’s become synonymous with Vuly coil spring trampolines. These improvements include reinforced, square T-joints on the frame – which make it even more stable – as well as a revamped door design and drainage holes incorporated into the safety padding. Vuly also released the Lift trampoline based on the classic Vuly2 design, which uses a different net material and does not include powder-coating. A key element of ‘good design’ is longevity, and Vuly is proud that our award-winning trampoline designs – Thunder Summer and Vuly2 – continue to live on in our new models.